A headache is one of several telltale high blood pressure symptoms that call for lifestyle changes and/or medical attention. The traditional sphygmomanometer for measuring blood pressure in inches of mercury has gone high-tech. When it comes to high blood pressure, symptoms tend to show up only when the condition is serious. You’ve heard the phrase “silent killer”? It was coined for hypertension (high blood pressure) because it can linger for a long time without you knowing before it causes a stroke or other serious health crisis. If you monitor your blood pressure regularly, then you should have a handle on changes that require medical evaluation and treatment. If you don’t, take a few moments to learn what high blood pressure symptoms are, and what to do if they appear. There has long been a myth that high blood pressure is a common cause of headaches. The truth is that only in the cases of a hypertensive crisis does a high blood pressure headache develop. A hypertensive crisis is defined as systolic blood pressure—the top number in your blood pressure reading—of 180 mmHg and/or a diastolic (bottom number) pressure of 110 mmHg. Hypertension is considered a blood pressure of at least 140/90 mmHg. A systolic pressure of 120 to 139 mmHg and a diastolic pressure of 80 to 89 mmHg is considered pre-hypertension, a red flag that you should take steps to get your blood pressure under control before serious complications develop. The bottom line is that you can’t look at headaches as reliable high blood pressure symptoms, nor can you consider a lack of headaches as a sign that your blood pressure must be well controlled. Nosebleeds: Blood Pressure, or Dry Air? Just as headaches aren’t typical high blood pressure symptoms, except for people in a hypertensive crisis, nosebleeds are also signs that have been erroneously associated with elevated blood pressure. Excessive high blood pressure may lead to a nosebleed, but don’t think you’re in the clear if you never have nosebleeds. The most common cause of nosebleeds is actually dry air. The interior lining of your nose contains many tiny blood vessels called capillaries. When you breathe in dry air, the nasal membranes can become dry, making them more vulnerable to bleeding. Blood thinners and aspirin may also cause nosebleeds. If you take these medications and develop such nasal problems, be sure to talk with your doctor. Changes in your medication regimen may be in order. If your face starts to turn red and feel warm, the causes can range from being overheated due to exercise to a reaction to alcohol or spicy foods. Certain cosmetics can cause flushing, as can exposure to the sun or wind. But turning beet-red is also not among high blood pressure symptoms. You may have high blood pressure and experience flushing, but your hypertension usually isn’t the cause. A hypertensive crisis may present with flushing, but there will be other symptoms, too. Lightheaded or Dizzy Feelings: High Blood Pressure… or Low? 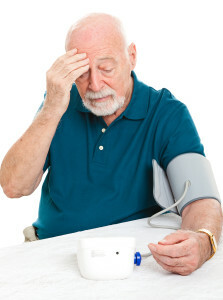 Dizziness and lightheadedness have also been associated with high blood pressure. Interestingly, however, those sensations are more likely to occur if you have low blood pressure (hypotension). Certain anti-hypertensive medications may also make you feel dizzy, which is a sign that you may need a weaker dose or a different drug. You may also experience dizziness as a symptom of stroke, for which high blood pressure is the main risk factor. If you feel dizzy, and you have other stroke symptoms, such as a sudden headache, tingling or numbness (especially on one side of the body), difficulty speaking or understanding speech, loss of coordination or facial drooping, get emergency medical help immediately. 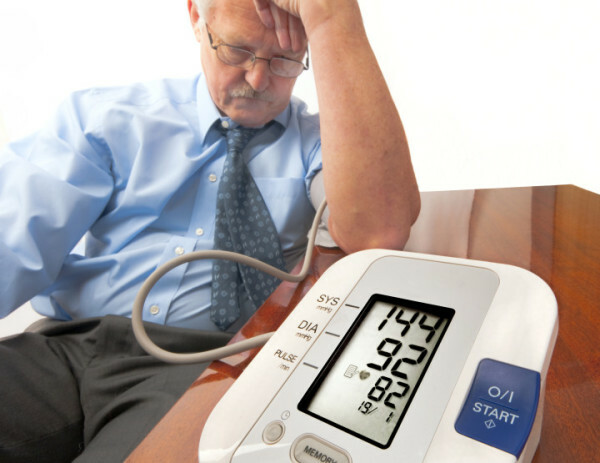 Monitoring your blood pressure regularly is a good safeguard against undetected spikes. Checking in both arms and averaging your score works best. Your doctor will recommend a home blood pressure monitor that’s right for you. The only true high blood pressure symptom you can count on is the reading when you have your blood pressure checked. If your blood pressure is checked at the doctor or with a home monitor and the numbers are getting into the prehypertension or hypertension region, you should talk with your doctor about your options. Pre-hypertension usually isn’t treated with drugs, but instead is treated with lifestyles changes: weight loss, reduced sodium diet, more exercise, smoking cessation, stress relief and other healthy behaviors. If you’re in the hypertension range, you may need medications and lifestyle changes to manage your blood pressure. These decisions are made on an individualized basis, so be sure to have an honest conversation with your physician about how to treat high blood pressure. And be sure to have it checked regularly. Don’t wait for high blood pressure symptoms to prompt you to be proactive regarding this very serious health concern. alcohol, blood pressure, blood pressure headache, blood pressure symptoms, blood thinners, diet, dizziness, dizzy, elevated blood pressure, exercise, for high blood pressure, have high blood pressure, headaches, health, high blood pressure, high blood pressure and, high blood pressure headache, high blood pressure is, high blood pressure symptoms, home blood pressure monitor, hypertension, hypertension high blood pressure, hypotension, low blood pressure, nasal problems, prehypertension, pressure headache, smoking, sodium diet, stress, stress relief, stroke, stroke symptoms, systolic blood pressure, treat high blood pressure. Why is the chart in Spanish? The headings are English but the comments are in Spanish. 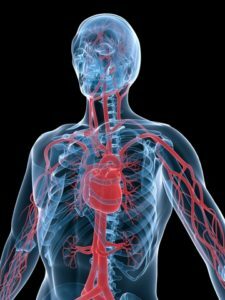 I thought you might be interested in this article on https://universityhealthnews.com: Do You Have High Blood Pressure Symptoms?